Digital PS Vita Version reviewed. 'A.W. 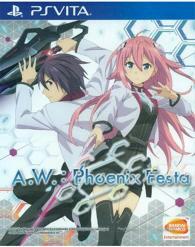 : Phoenix Festa' is the first game based on the hit anime series, and now it's time for the English debut on PS Vita. 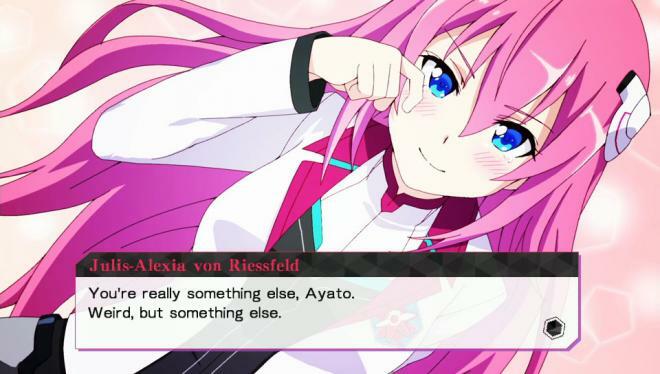 Retelling the events of the show, players can either control protagonist Ayato Amagiri or their own custom character. In this action RPG, players can form relationships, fight other students, and emerge as the victor of the Phoenix Festa. 'Asterisk War', the show that 'A.W. : Phoenix Festa' is based on (though it never uses the full name in the game, it's always just 'AW', for whatever reason) just finished airing a couple of months ago. It's the kind of no-frills action romance series that's pretty much a dime a dozen at this point, but it makes up for its generic premise with surprisingly strong execution of all of its ideas and writing that's far better than I'd have expected. There's a fairly detailed backstory about the world economy collapsing and coalitions being brought in to act as governing bodies in light of this. All that really matters is a basic story about a city called Asterisk that houses six schools which train students with special powers in combat, and the tournaments held between the schools. It's not terrific, but it's a fun show that has a fairly big fanbase, so it's cool to see the game get localized. It's still an odd localization decision, for sure, since it's not as popular as shows like 'Attack on Titan' or 'Sword Art Online' in the West, and it feels stranger still to think about just how quickly this game showed up here, but it's a solid indication of just how much publishers are willing to take a risk on compared to what we'd get just a few years ago. It's just a shame then that the game itself never really feels like more than a quick cash-in. The basic structure of 'AW' is actually pretty interesting. As a basic retelling of the anime, the game casts players as either the protagonist of the series, or a created character, though the options for custom characters are shockingly limited (you can only be a guy, and you have maybe 6 different visual options available). 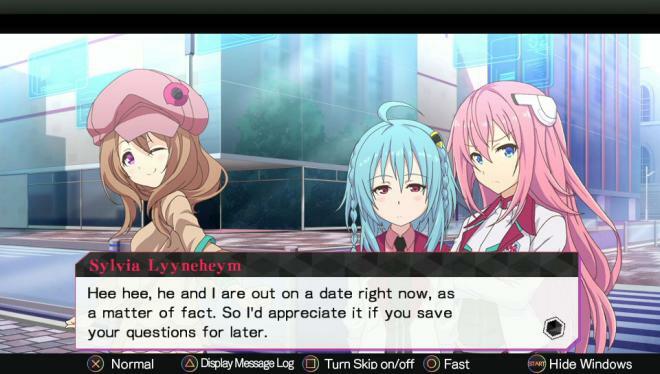 Entering Seidoukan Academy, players are given two in-game weeks to find someone to act as their partner during the upcoming Phoenix Festa or the game will end. This divides the game up into two distinct halves, a life sim that sees players raising stats and fostering relationships with other students, and a 2v2 brawler. The life sim aspects are easily the most compelling part of the game. Being given a certain amount of allotted time each day to dedicate to any chosen activity, you have to manage your schedule as best as possible. Meeting with other students, giving them gifts, and taking them on dates will increase your relationships and give a better shot at finding a battle partner, but ample time also needs to be given to things like training to raise stats, and part-time work to purchase items and upgrade equipment. This year's earlier 'Trillion: God of Destruction', which I loved, had a similar basic setup. 'AW' is a far less stressful game, and there never feels like a wrong way to play 'AW'. I actually really like these sorts of simulation setups, and it definitely makes the game oddly compelling. Cracks begin to show after a short while, however, as it becomes clear that there's not a ton to do. You can go on dates, but more often than not, you'll just repeat the exact same date over and over again if you go with the same character, with practically zero variation, and the side jobs you can take feel extremely similar to each other. For a game that revolves so heavily around just navigating menus and reading through events, it's a shame that almost no effort was made to make the events more interesting. Combat, sadly, never manages to feel terribly exciting. The mechanics are extremely simple, with light and heavy attacks, dodges, and blocks. For the most part, that's all that ever really matters, but as weapons and stats are increased, special moves are unlocked that can practically be endlessly used. Once I discovered that, I honestly got through almost every fight just by using one attack over and over. There's a meter that pretty much every action drains, so I did have to stop and rest for a while after every few attacks, but that just amounted to a few seconds of running, leaving me free to spam one attack constantly outside of that. It tries, in places, to make things a little more exciting. Taking a partner into battle introduces light strategy where orders can be issued, and chatting to a partner character will buff them temporarily, but it's mostly just mild window dressing that hardly makes up for the rest of the poor mechanics. The story too, is mostly glossed over. Background details are never really mentioned, and the plot ends up feeling heavily truncated, focusing instead on minor subplots involving the relationships of all the characters. The shifted focus isn't a bad idea, but with a workmanlike localization not aiding a script that isn't particularly interesting in the first place, it never feels terribly special or fun. It's particularly bad when the game gives quizzes with answers that almost entirely come from backstory that's never mentioned in-game. It speaks to the central problem of 'AW', really. It's the sort of game that feels reliant on fondness for the series it's based on, rather than any of its own merit. While the character models look mostly fine, the rest of the game's visuals range from average to terrible. The arenas are all practically devoid of detail (and one stage that does have some detail, funnily enough, just has dozens of stores all named 'Asterisk' everywhere I could see), and observing some aspects of it as closely as possible leads to some really dreadful texture work. If there's any real evidence that the game was a rush job, this is it. I did not find a single memorable bit of the soundtrack here, and while the entire anime cast reprise their roles here, only a handful of scenes are fully voice acted. Other parts of the game just repeat the same voice clips constantly. I can't say that any of the sound here is particularly bad, but it's about as mediocre as it can be. There's some nice incentive to play the game multiple times, with the plot changing fairly heavily depending on which of the four available girls are chosen as partners and how the main character is raised. There are also additional battle modes allowing players to use any character in the game, and a third mode unlocked once the game is completed. There's a fair amount to do here, even if it's not terribly exciting content. For as much as 'A.W. : Phoenix Festa' fails to capitalize on the potential of its strong ideas, there is something oddly compelling about the whole game that had me start up a second playthrough pretty much immediately after my first ending. I can't really recommend this to anyone but diehard fans of the series, but even then, it comes with the caveat that it's a flawed, rushed game. It's nice to see more titles like this brought over, but this is one that can safely be skipped.